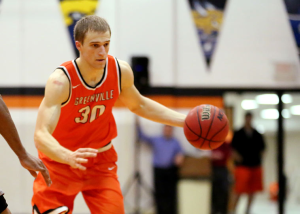 The combined 109 points in the Greenville College Women’s Basketball contest against Webster did not even equal the amount of points both GC and Webster would each total later in the men’s game. 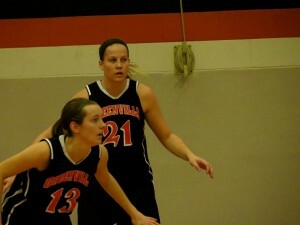 That was fine with the Greenville women as they used a stout defense to roll over Webster 61-48 in the St. Louis Intercollegiate Conference opener for both teams. In the second game of the night, Webster used quick dribbling and precision passing, along with their traditional zone defense to turn back the GC Men 134-115. The Greenville women started out hot in their game, jumping out to a 19-6 lead after one-quarter, thanks to a balanced attack in which seven different players scored. Webster used a zone press to slow down the Lady Panter offense and slowly crawl back into the game. The Lady Gorlocks cut the deficit to nine at 26-17 before baskets by Claire Schmidt and Coley Baker gave GC a 30-17 lead heading into halftime. The teams traded baskets for most of the third quarter until a personal 4-0 run by Laura Goodnight in the last minute gave Greenville some more breathing room going into the fourth quarter with a 44-26 lead. Goodnight sank two free throws before tossing in a running floater to barely beat the buzzer. Greenville controlled most of the fourth quarter and had their biggest lead of the game with a layup by Kelly Lenz to make the score 61-39. Webster had a flurry of points in the last minute to make the final score seem closer than the game actually was. “Webster is such a guard-oriented team so our guards being able to pressure them well affected Webster’s overall ability to get into their offenses,” Goodnight said. Baker was once again a dominating presence in the paint with 17 points and Goodnight added 12 points while Schmidt dished out 7 assists. Taylor Paulin, the highest percentage three point shooter in the entire country, was 2-3 from behind the arc to put her percentage to an unheard of 73%. “Starting off conference play with a win was super important for multiple reasons. It makes a statement, gives us confidence going forward as well as extra momentum,” Goodnight explained. In the men’s contest, fans were treated to a fast-paced, high-scoring affair. Webster, the team predicted to win the SLIAC in the preseason poll, was able to handle the Greenville pressure defense and create fast break opportunities to lead 61-49 at the half. The deficit stayed between 8-10 points for most of the second half and Greenville was able to stay close thanks to the hot shooting of Tim Daniel and Shane Smith. Daniel, the conference’s leading scorer hit 7 three-pointers and Smith 6 three-pointers to score 25 and 21 points, respectively. A late surge in the last two minutes by Webster inflated the final score. Jamal Daniels added 16 points for Greenville, who couldn’t overcome Webster shooting 68% for the game. 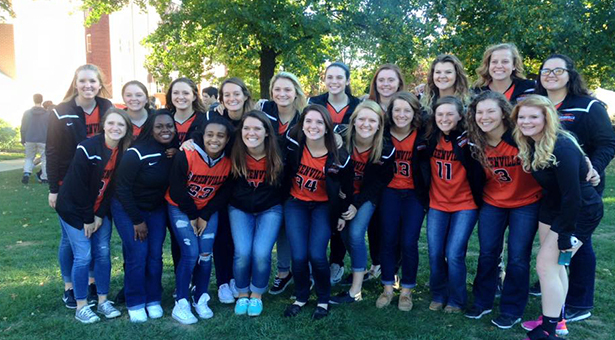 Both the Greenville Men’s and Women’s Teams will continue their conference seasons on Saturday at Westminster.